The Government is planning to hold two referendums on the same day as the local and European elections next May. A Government spokesperson confirmed that the Cabinet is looking at holding a referendum on divorce and also on extending the vote for presidential elections to Irish citizens outside of the State. The proposal for a divorce referendum follows a private members' bill by Minister for Culture, Heritage and the Gaeltacht Josepha Madigan, to shorten the period that those seeking a divorce need to live apart from four out of five years to two out of three years. 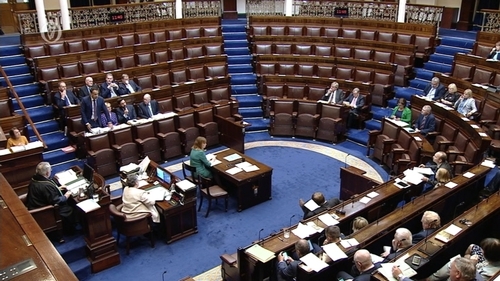 When Minister Madigan's bill passed second stage in the Dáil, some questions were raised about whether time limits should be in the Constitution, arguing the Oireachtas should decide the matter. Minister for Justice Charlie Flanagan and Minister Josepha Madigan will meet the opposition tomorrow on plans to hold a referendum on divorce on the same day as the Local and European elections next May. A Government spokesperson said they were hoping to seek a consensus on the issue and then a memo could be brought to Government in January.